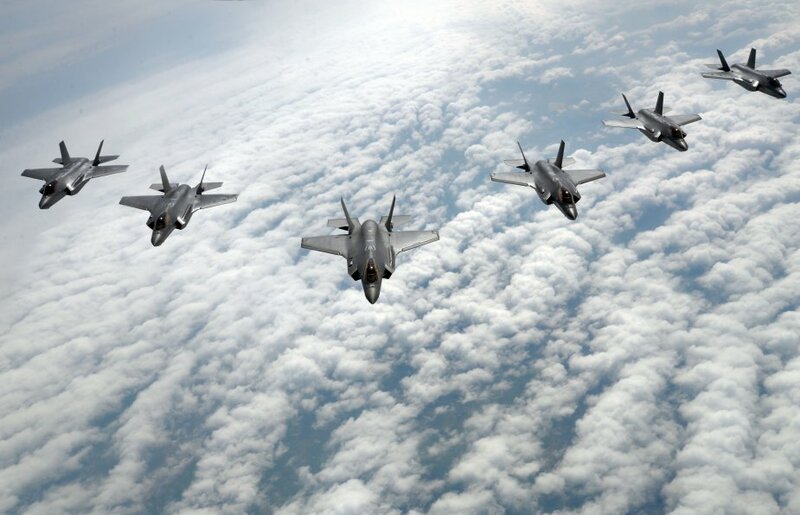 Washington — The U.S. Defense Department’s deep dive into the F-35’s cost is officially underway, as a team of Pentagon officials works their way through the massive supply chain of the joint strike fighter, a top official said Monday. 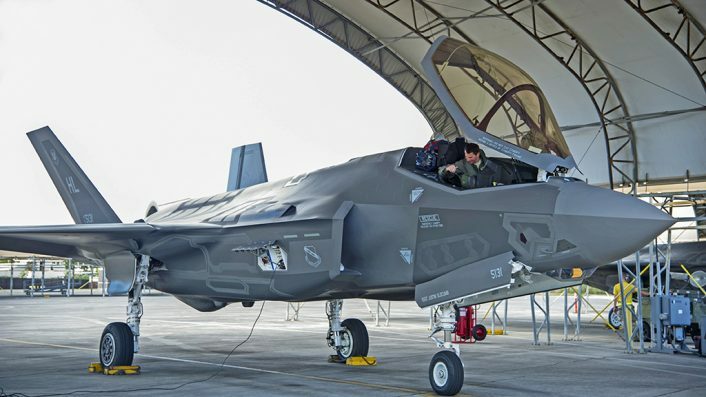 The Pentagon knows how much it’s paying for the F-35, but the deep dive will help officials understand the true cost of the jet and why, as well as what can be done to whittle down the price tag even further, said Shay Assad, the department’s director of defense pricing. Over the next several weeks, the assessment team will meet with the three major contractors on the F-35 — prime contractor Lockheed Martin, as well as BAE Systems and Northrop Grumman, which make major portions of the fuselage — and lay out the parameters of the review. Twelve aircraft and more than 300 personnel from the 388th and 419th Fighter Wings (FWs) based at Hill Air Force Base (AFB) in Utah have now begun Theater Security Package (TSP) operations out of Kadena Air Base (AB). The deployment which began earlier in November will see the F-35As operate alongside USAF Boeing F-15C Eagle fighters from the 18th FW that are co-located at Kadena AB. For the next six months, the TSP will provide reassurance to regional allies that will primarily take the form of joint training missions. Weapons Delivery Accuracy flight tests began in July 2013 and wrapped up earlier this month. The WDA portion of the F-35 developmental test and evaluation mission ensures the fifth-generation fighter’s weapons system can deliver lethal ordnance both air-to-air and air-to-ground using the jet’s warfighting Block 3F software. Aircraft and personnel from the F-35 Patuxent River Integrated Test Force (ITF) performed vertical landing trials of an F-35B on a specially constructed sloped surface at Marine Corps Auxiliary Landing Field Bogue, North Carolina, on 16 January. 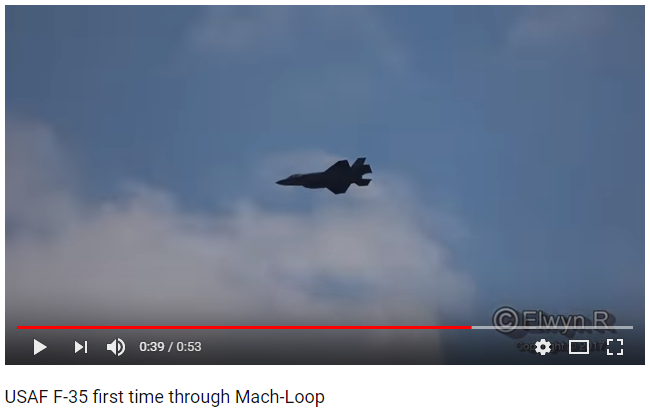 As noted by the US Naval Air Systems Command (NAVAIR), the trials were focused on simulating expeditionary conditions as the programme moves towards its initial operational test and evaluation phase. The US Marine Corps (USMC) is continuing to develop the tactical operating capabilities of the Lockheed Martin F-35B Lightning II Joint Strike Fighter (JSF), with the first sloped-surface landing announced on 22 January. The Paxuxent River ITF will analyse nearly 200 data test points to assess how well the F-35B operates on varying slopes, the impacts of head and tailwinds, and the effect of aft centre of gravity in conjunction with ground slopes. As noted by Lockheed Martin, since aircraft AA-1 took to the skies for the first time in December 2006 the F-35 flight test programme has conducted more than 9,200 sorties spanning over 17,000 hours. During this time, it has executed more than 65,000 test points to verify the design, durability, software, sensors, weapons capability, and performance for all three F-35 variants. The test team has conducted six at-sea detachments and performed more than 1,500 vertical landing tests on the F-35B variant. In total, the developmental flight test team completed 183 weapon separation tests; 46 weapons delivery accuracy tests; and 33 mission effectiveness tests, which included numerous multi-ship missions of up to eight F-35s against advanced threats. The final SDD flight occurred on 11 April at Naval Air Station Patuxent River in Maryland. 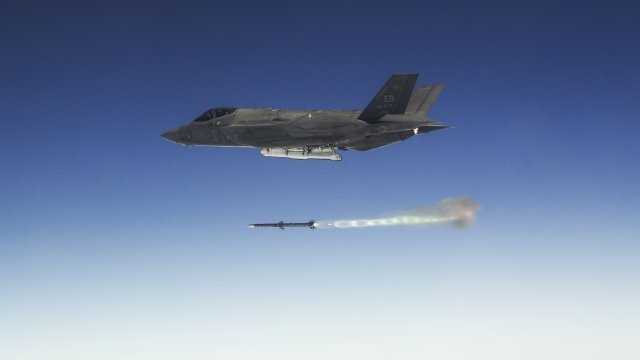 During the flight, US Navy F-35C test aircraft CF-2 completed a mission to collect loads data while carrying external 2,000 lb GBU-31 Joint Direct Attack Munitions (JDAM) and AIM-9X Sidewinder air-to-air missiles. More than 280 F-35 aircraft have been delivered and are now operating from 15 bases around the globe. More than 580 pilots and 5,600 maintainers have been trained and the F-35 fleet has surpassed more than 130,000 cumulative flight hours. The F-35 weapons system reliability continues to improve, and newer aircraft are averaging greater than 60 percent availability with some operational squadrons consistently at or above 70 percent availability. The ICP acts as the aircraft’s brains, processing data for communications, sensors, electronic warfare (EW), guidance and control, cockpit, and helmet displays, according to a joint Lockheed Martin-Harris statement. This new processor is a key element of the planned Technology Refresh 3 modernisation that takes advantage of fast evolving computing power to ensure the advanced F-35 remains ahead of developing threats. Additional elements in the technology refresh include the Panoramic Cockpit Display Electronic Unit and Aircraft Memory System, which were also recompeted and awarded to Harris last year. This is the JSF’s first “Elephant Walk”.